This is the 4th time rematch of Pambansang Kamao Manny Pacquiao Vs. Juan Manuel Marquez in Las Vegaz, Nevada. 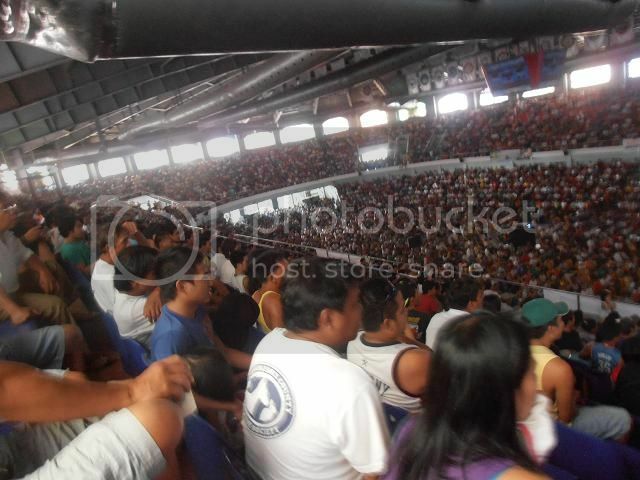 My hubby encourages me to watch in Quezon Convention Center in Lucena City. This is the first time to watch in this place. When we entered the entrance it has full of people inside, and we already sit in on the top. I will take the photo, and you can see how many people waiting for the fight and a lot of people supports for our Pambansang Kamao Manny Pacquiao. But what will happen to Manny Pacquiao? All fans of Manny Paquiao all over the world do not imagining Juan Manuel Marquez defeats him by spectacular knockout in 6th rounds. Anyway, Manny Pacquiao was facing Juan Manuel Marquez for the 4th time in their careers. 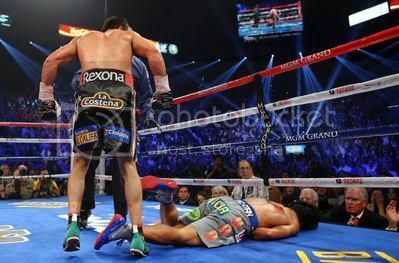 Pacquiao knockdown when Marquez wings a left hook and it’s blocked. In 6 rounds on their fight Juan Manuel Marquez stunned Manny Pacquiao, with a straight right hand at the end of this round to finally beat Pacquiao for the first time in 4 attempts. Even Manny was lost it didn’t change the fact. For me Manny Pacquaio/Pacman is the best pound fighter of the world.